We live in remarkable times. For thousands of years, few people had access to any form of yoga training and those who did sacrificed greatly in order to acquire that knowledge. Historically, the process was a disciplined, face-to-face, one-way flow of information from yoga teacher to student. All of that has radically changed with the advent of books, videos, worldwide travel, and now with the Internet and email. I am the author of three yoga books including The Mechanics of Yoga, the extensive online book you are about to read. My first book, ExTension Yoga, was published by Simon & Schuster. It is a carefully planned program of progressive yoga exercises (asana) designed for all normally healthy people, from couch potatoes to world class athletes and for everyone in between. You do not have to be strong or flexible to successfully practice ExTension Yoga. In fact, this program is not about "trying" to enhance your flexibility, strength, and endurance; but instead, flexibility, strength, and endurance are profoundly enhanced as the result of learning how to "do" an appropriate yoga practice. Note: I will explain later on how semantics plays a fundamental role in learning how to "maximize your yoga potential and minimize your risk of injury." When I began writing ExTension Yoga nearly 20 years ago, most yoga books on the market had pictures of very flexible teachers demonstrating their poses. Through their pictures and words, the authors were encouraging their readers to try and do the exercises as demonstrated, as best they could. Few of those books offered much information on how to do the exercises for people who were not as flexible as its models; and fewer yet offered even the possibility that yoga could or should be adapted for less flexible students. Instead, advice was generally given along the lines of: "Just keep trying and flexibility will eventually come." Or, "If it hurts, just don't go as far." I felt readers, regardless of their flexibility, needed more information on how to safely do the exercises and how to avoid yoga related injuries. I wrote ExTension because far too many people quit yoga because they felt they weren't flexible enough; or they felt it was too difficult; or worse yet, people were quitting because they were afraid they'd injure themselves. What bothered me the most was that people felt that yoga was dangerous. 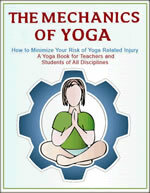 My second book, Recovery Yoga was published by Random House a few years later. It was a project conceptualized and developed from my own personal experience because just as ExTension was about to be released, I developed multiple sclerosis ... and the direction of my life and my understanding of yoga changed dramatically. As my illness progressed, my body became racked with pain and injury; and my ability to practice even the easiest routines from ExTension became difficult. As a result, I began experimenting with adapting its exercises so that I could continue to successfully do yoga ... not try to do yoga. As I slowly began to understand my changing body, the perception of "doing versus trying" became increasingly important to both my understanding of yoga and what I was able to get from it. Recovery Yoga evolved into another carefully planned yoga program that I designed for three groups of people: Those who are chronically ill or severely injured; those who are dramatically out-of-shape; and those who are growing older but still want to successfully exercise. This e-book is the bridge that connects both ExTension and Recovery Yoga. In so doing, it does three important things. 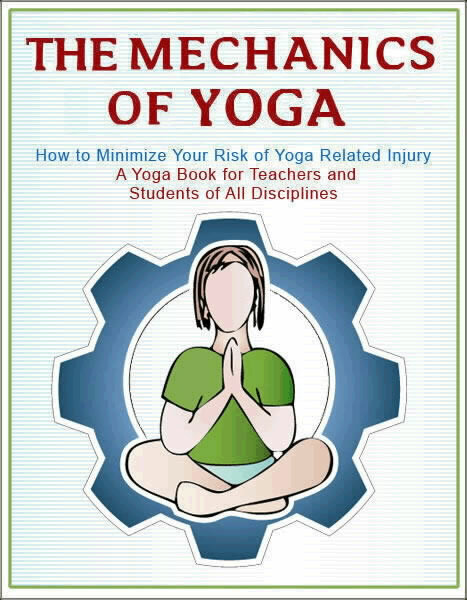 It explores the bio-mechanics of how yoga works. It explains how "doing less correctly" gets you more. And it explains what it means to "do yoga" rather than "trying to do yoga." Although it might be difficult to understand at first, both ExTension and Recovery Yoga use exactly the same logic and principles that apply to everyone, regardless if you are flexible or tight, strong or weak, healthy or ill, young or old. How can this be? How can both programs target such divergent groups of people, from highly trained athletes to chronically ill, injured, and aging people, yet use exactly the same logic and principles; logic and principles that minimizes your risk of injury and at the very same time, promotes enhanced strength, endurance, and flexibility. Continue on to the next page to find out how.